Legendary rock band Chicago is planning a show this year unlike any other that they’ve done before. The group with horns will perform their historic album, Chicago II, in its entirety as the first set of the concert. While some artists have performed an entire record as their complete show, for Chicago, this will only be the first set before intermission. 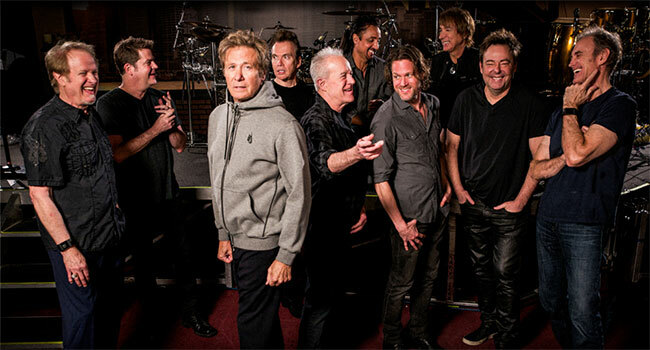 Chicago II, like the band’s first release, is a double album, and contains the hits “25 Or 6 To 4,” “Make Me Smile,” “Wake Up Sunshine” and “Colour My World,” the No. 1 song for weddings and proms for more than 40 years. Chicago II is being considered for the Grammy Hall Of Fame. This year will also see some changes. Walfredo Reyes Jr. who has been touring with Chicago for many years as percussionist and is also an accomplished drummer, will take over on drums, replacing Tris Imboden who announced his resignation on January 17th after 30 years. Replacing Reyes Jr. on percussion is his brother Danny, another in a long line of great musicians from the Reyes family. Canadian Neil Donell who has been enthusiastically received as a guest vocalist with Chicago on occasion, will take over lead tenor vocals. On bass they will be joined by Brett Simons who has toured and recorded with numerous musical icons. Now, in their 51st consecutive year of touring, Chicago has another full schedule this year, including their first Las Vegas residency, where they will perform nine shows at The Venetian from February 7 through February 24. They just keep getting better!